Kavita Khosa is the founder and director of Sachananda Yoga Shala. Born in Pune, India, Kavita started learning Yoga from an early age and conducts Yoga and Yoga Therapy classes, integrating her understanding and practice of the Iyengar and Sivananda yoga traditions. Working with discipline on structural alignment, Kavita brings an insightful knowledge of Ayurveda and Vedanta philosophy in her classes, allowing the student to discover repose in a pose. Kavita has over 20 years experience in Yoga and Ayurveda and has studied at the Ramamani Iyengar Institute and Kabirbaug Sunjeevan College in Pune, India. Deeply inspired by the ancient Advaita Vedanta teachings which expound the non-dualistic principle of One Truth and the one-ness of all beings, Kavita gave up her career as a corporate lawyer after nine years to pursue the calling of Yoga. Admitted as a solicitor in England & Wales and Hong Kong, Kavita holds degrees in Bachelor of Commerce (B.Com) and Bachelor of Laws (LLB) and certificates in Ayurveda and Vedanta and brings professionalism to her classes. 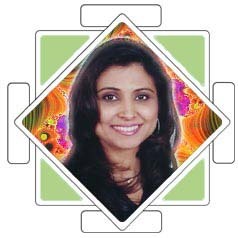 Kavita has published many articles on Yoga, Ayurveda, Vedanta and Sanskrit for various journals and magazines and is the editor of Vidya-Vani, a periodic newsletter on Yoga. The class schedules can be found here. Sunaina is an internationally acclaimed award winning Bharat Natyam dance teacher and teacher this ancient classical dance at the Shala. Please contact Sunaina direclty for class schedules on tel: 9747 5861. Les McClure. Dip. Shiatsu. UK. Dip. Acupuncture, HKU.